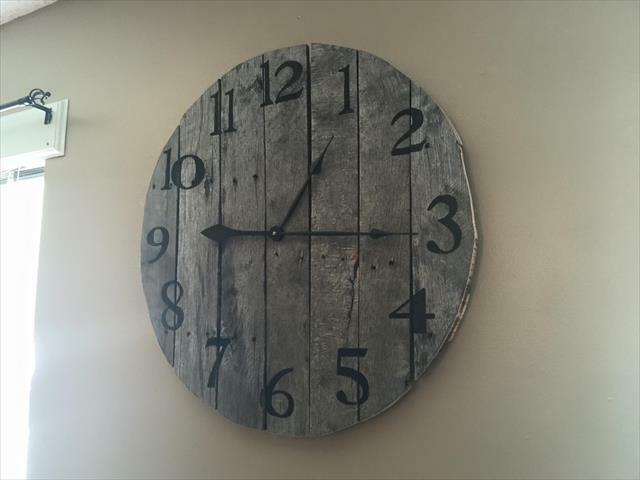 You can not change the time, but you can surely change the time measuring device called ‘clock’ if they are boring, dull and do not go with your interior décor. 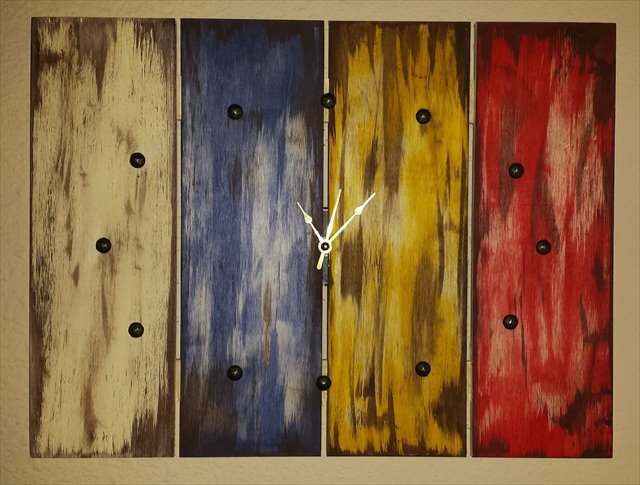 with some wooden pieces and your carpentry skill you can create your own wall clock seeking help from this inspirational DIY wooden Pallet clock designs which are no less than a piece of realistic art. 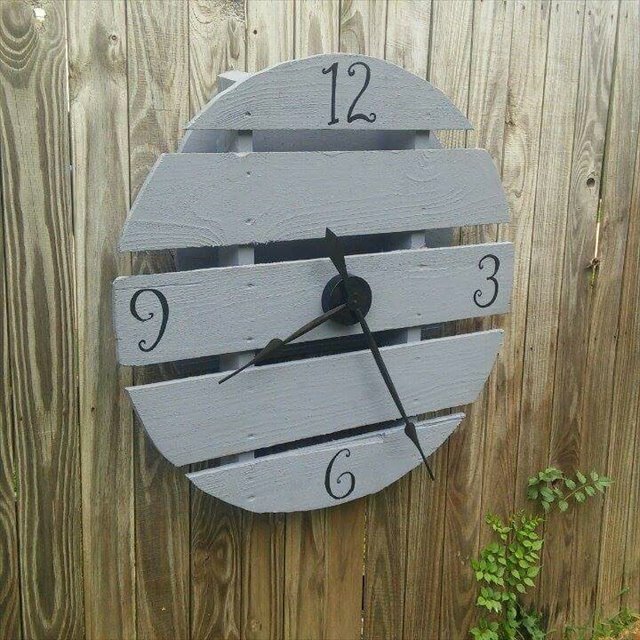 The clock is too much easy to built, just bring together some small pallet stripes with hardware and place the machinery at the back. Then fix the clock hands on the front around the black inked roman digits around. 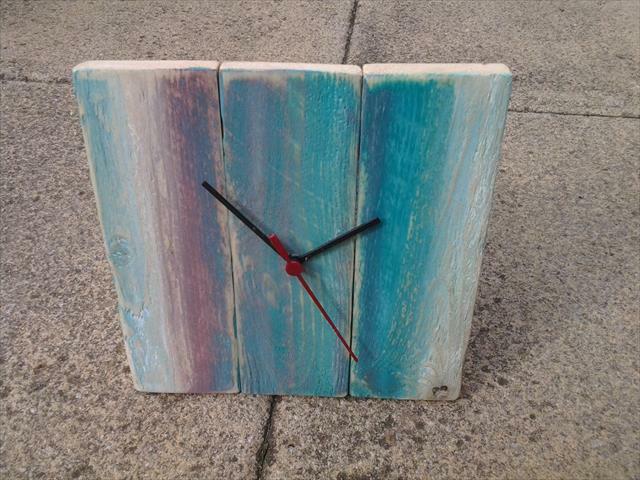 The clock has been finished in pure satin for a refined and rustic possession on the walls. 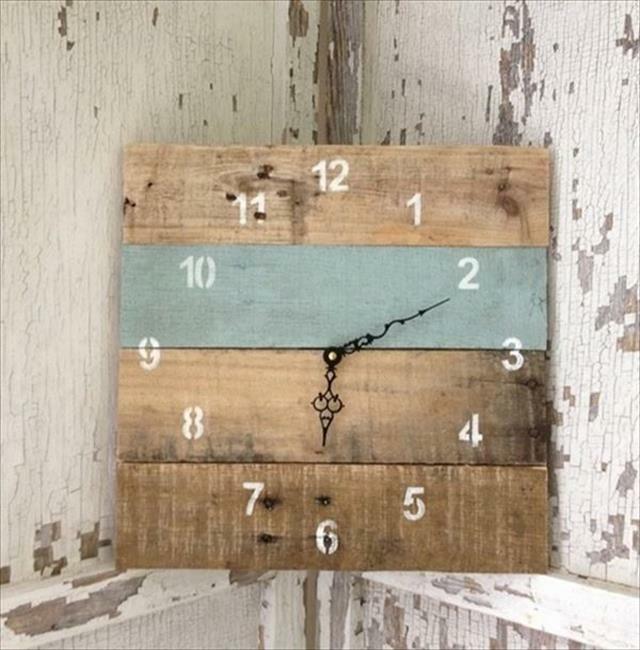 The cute looking clock will add a classy look to your indoor decor with a woody and natural charming appearance. 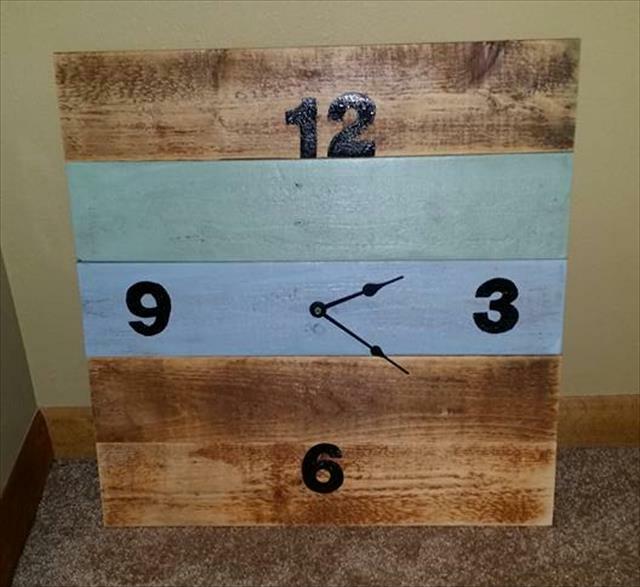 You can make customized changes in the clock hands, digits and its staining, to make it more dazzling to match the other items of your spaces. 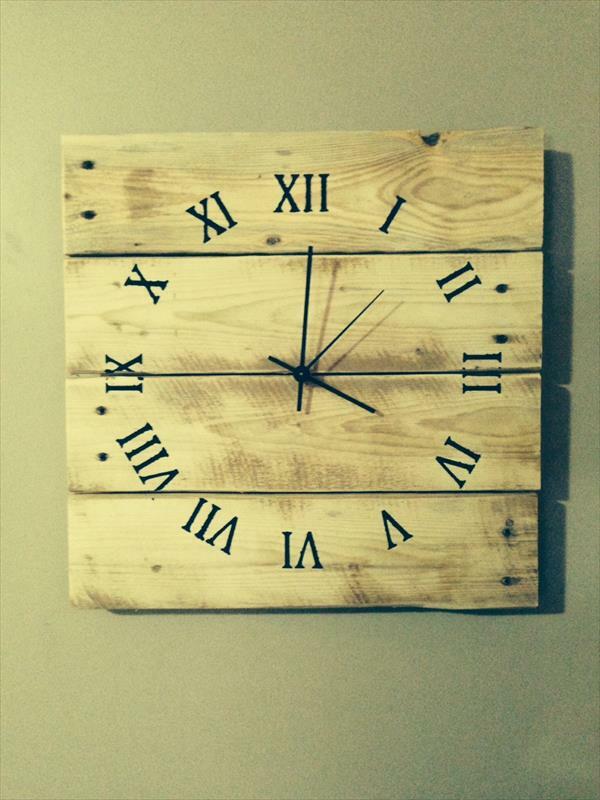 So hurry to own this stunning clock, to count happy moments with every glance on it. 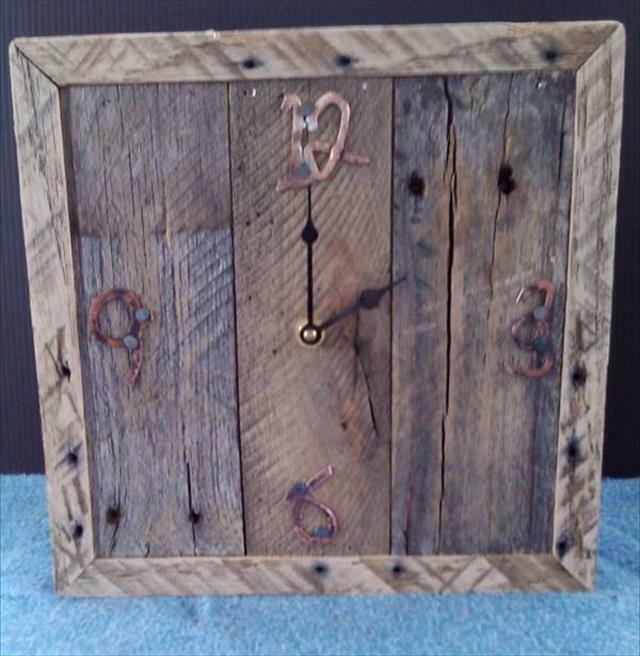 How to Make Furniture out of Pallets ? ?